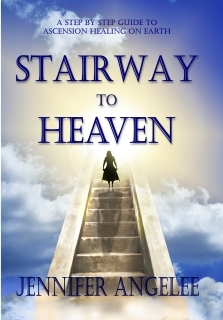 Stairway to Heaven is a Step by Step Guide to Ascension Healing on Earth. In this book, Jennifer reveals the esoteric secrets to creating Heaven in your life. Wherever you are on your journey, Jennifer will meet you there and show you how to rise higher and become powerful enough to heal yourself and create the life of your dreams. Using the power of Unity Consciousness, Jennifer explains how we can bring Heaven to Earth now. 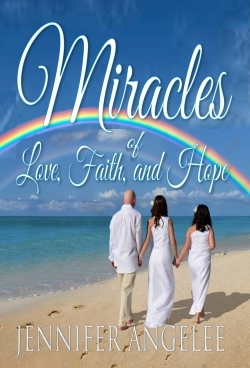 Jennifer Angelee is a Spiritual Teacher, Energy Healer and Author of Miracles of Love Faith and Hope, Angel Bumps and Beloved I Can Show You Heaven. In Stairway to Heaven you will be guided one step at a time on the path to self-actualization and enlightenment. You will learn about Jennifer’s Healing Modalities that are on the cutting edge of spiritual healing, including The Seven Planes of Healing, Soul Evolution Therapy®, Infinite Possibilities Life Coaching™, and Psychic Steps for Healing and Protection. Jennifer believes that we are at an exciting time in our history where a new awakening is occurring. It is time for everyone to recognize their divine light within and it is time to Rise into Your Power, Your Time has Come!! !